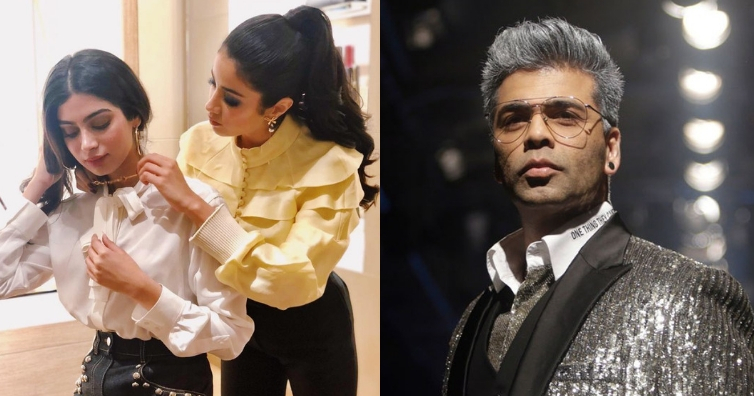 Late actress Sridevi’s daughter Janhvi Kapoor made her Bollywood debut with Dhadak. She has impressed the audience with her performance and bags her second film Takht. And now, it seems like her younger sister Khushi will follow her footsteps. Recently, on Neha Dhupia’s chat show No filter Neha, Johar was quizzed about the debuts we might see in 2019. Without much thoughts, he named Javed Jaffrey’s son Mizaan and Khushi Kapoor. “Mizaan is going to be amazing, he is a potential big star and a great dancer. And Khushi perhaps, she is gorgeous and lovely,” said Karan. Speculations about Mizaan’s debut were doing the rounds for quite some time. It was being said that Sanjay Leela Bhansali has signed him. However, nothing official was said on the same.